We’ve all had the merits of a regular dental hygiene regimen drilled into us since we first sprouted our baby teeth. Many of us began brushing long before we were able to reach the sink on our own, and that habit has stayed with us ever since. Brushing and flossing are an excellent way to maintain your dental hygiene, but there is one more essential part that many of us ignore, the twice-yearly visit to our dentist for an exam and a cleaning. Why Do I Need To See My Dentist If I Don’t Have Any Dental Problems? Dental concerns don’t just spring up overnight. When you first start experiencing signs of tooth trouble it usually comes in the form of bleeding gums and sensitive or painful teeth, at this point the decay is already fairly advanced and could have been prevented. 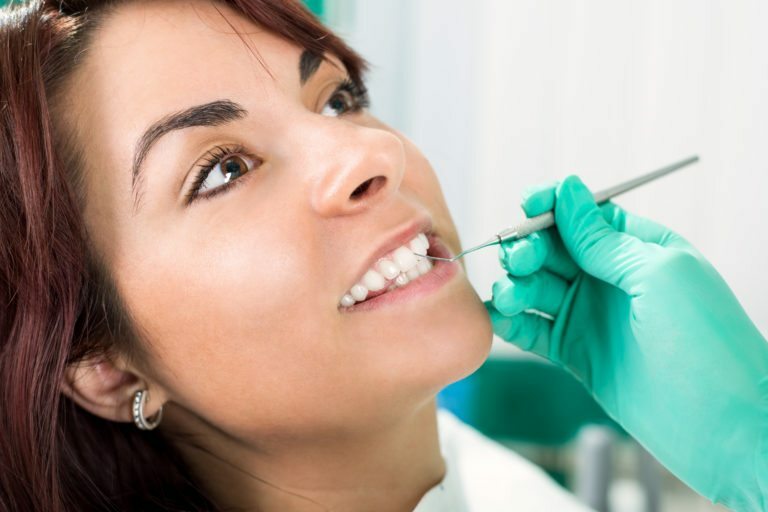 Regular dental exams ensure that an expert eye is turned to keeping your teeth healthy through the removal of calculus, otherwise known as tartar and that the beginning signs of trouble are noticed before they get out of control. What’s Can I Expect From a Routine Dental Visit? During a routine dental visit, you’ll receive a full oral exam and a routine cleaning. If a visual examination produces results that cause your dentist concerns, they may schedule an oral x-ray as well. Throughout the visit, your dentist will speak to you about medication use, recent illnesses, chronic conditions, allergies, and pre-existing dental conditions. Throughout the exam, they’ll also pay attention to your gums, teeth, palate, lymph glands, and other soft tissues present in your mouth. Once the exam is complete they will begin the cleaning process, this can include the use of an ultrasonic vibrating device and a specialized instrument known as a ‘scaler’, a small metal instrument that has an end with something resembling a blade on it. Throughout your mouth will be rinsed and finally, your teeth will be polished with a light paste, and it will be wrapped up with a flossing. The cleaned surfaces will now be smooth, creating an environment that’s resistant to the accumulation of plaque. Do I Need To Schedule A Dental Exam? If you haven’t seen your dentist in the last six months, the answer is already yes. However, you also need to schedule an appointment if you suffer from conditions that can create or accelerate existing dental concerns. Those suffering from advanced periodontal disease need to come in and see their dentist at least once every three months, as well as those who have diabetes and a number of other conditions. If you’re not certain if your chronic condition requires extra dental attention, schedule an appointment for a consultation with your dentist. If you haven’t seen your dentist in the past six months or think you may be experiencing symptoms related to gum disease, contact the office of Dr. Shadi Heidarian at 650-327-1570. If you’d rather schedule an appointment in person you can stop by our location at 826 Bryant Street in Palo Alto, CA.